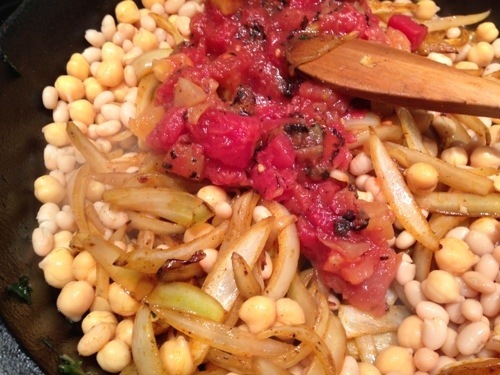 Published on June 15, 2014 in Recipes. 0 Comments Tags: @muirglenorganic, appetizer, avanti morocha, avantimorocha.com, buffalo mozzarella, craig ramini, Muir Glen Organic Tomatoes, paradise foods tiburon, Pea Mint Pesto, Quick Pan Grilled Eggplant, Quick Tomato Sauce, ramini ranch, raminimozzarella.com, salad, tomales bay, vegetarian, Vegetarian meal, vegetarian recipe. 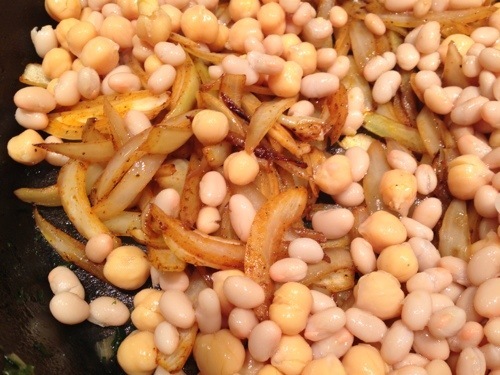 Published on May 4, 2013 in Recipes. 0 Comments Tags: @muirglenorganic, Breakfast, brunch, Dinner, Fire Roasted diced tomatoes, Muir Glen Organic Tomatoes, swiss chard, Tuscan Egg Stew, vegetarian, Vegetarian meal, vegetarian recipe. 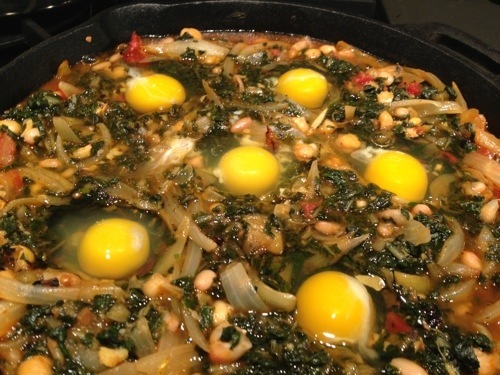 In honor of Mother’s Day I am sharing one of my newest creations, Tuscan Egg Stew. It is not a recipe inspired by anything my mother ever made for me but rather it is inspired by her love of breakfast for dinner. She loved to find those little unconventional ways that she could make meals extra fun — like having a BBQ in the rain, dessert before dinner, and breakfast for dinner. There is something so satisfying about egg dishes, whether for brunch or for dinner. 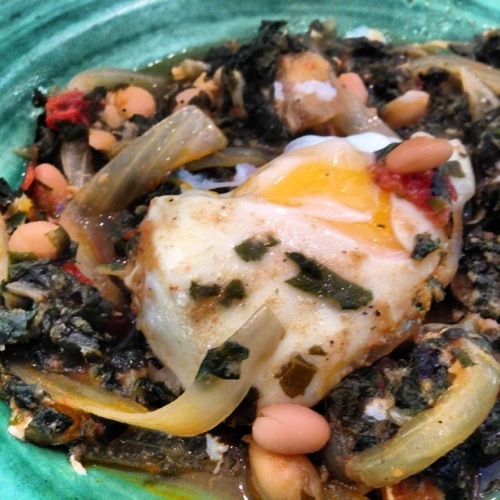 Tuscan Egg Stew makes its mark and scales well for small groups. The combination of flavors reminds me of so many of my days in Florence that it’s easy to close my eyes and be transported back in time. Three Generations Andy Warhol Style: Since my mother typically hates all pictures of herself, I have made this one a bit more artistic. 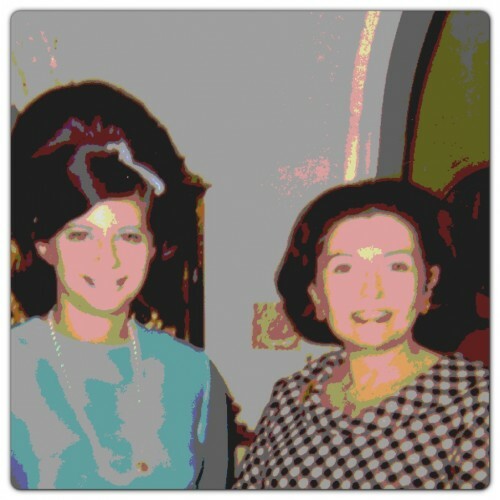 She is pictured at her baby shower along with my paternal grandmother ‘Ginny’. 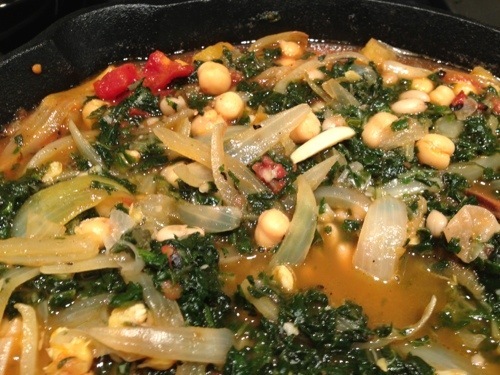 Heat 1 TBS of olive oil in cast iron skillet, or heavy bottomed pot, over medium heat. When oil is hot add pressed garlic. Stir quickly until fragrant and lightly brown. 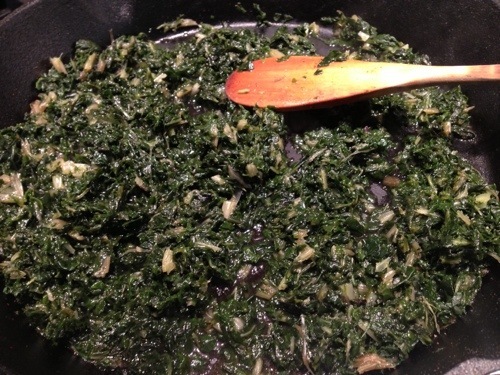 Add swiss chard to pot, season with salt and pepper and toss to coat. Cook until wilted but still bright in color; approximately 2-3 minutes. Transfer to a medium bowl and set aside. Wipe out skillet. In same skillet, over medium heat, add 2 TBS of oil. 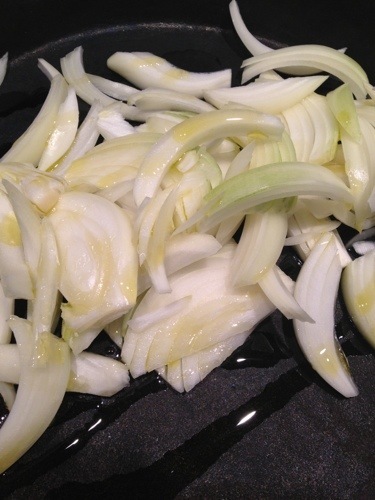 When oil is warm, turn heat up to medium high, adding onion and sliced garlic; stir 3-4 minutes until onion is softened. Add cumin, paprika and stir another 1-2 minutes until fragrant. 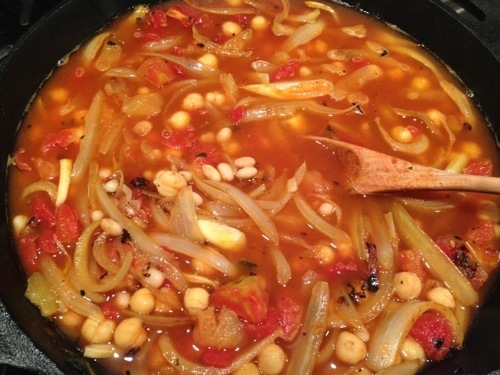 Lastly, add chickpeas, white beans and tomatoes; cooking until tomatoes start to caramelize and chickpeas begin to brown; approximately 8-10 minutes. Add broth and bring to a simmer scraping up any browned bits from the bottom of the pan. 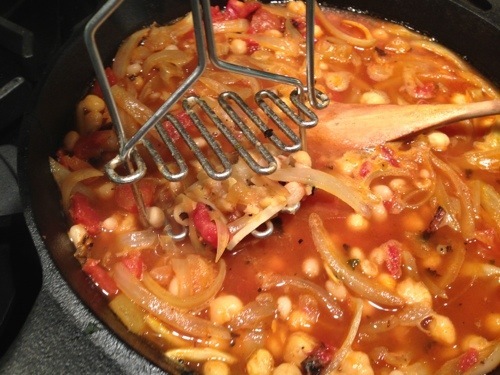 Reduce heat to medium; simmer, occasionally mashing some of the chickpeas with the back of a spoon or a potato masher. Cook stew 15-20 minutes until the sauce has thickened. 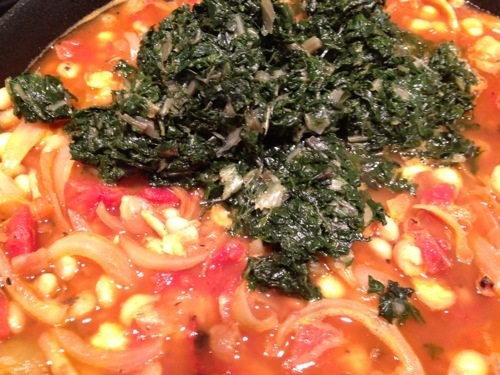 Fold in swiss chard, adding in more broth slowly, 1/4 cup at a time, if sauce seems too thick. A small amount of liquid is necessary to properly cook the eggs. 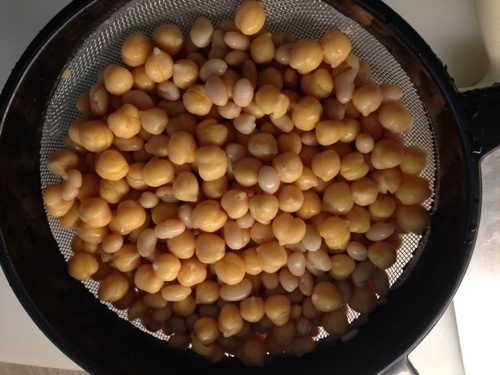 Make holes in stew and crack eggs one a time into a small bowl and then transfer into one of the premade holes. Once all of the eggs are in place, cover pan with a lid to allow eggs to steam 5-7 minutes. Baste occasionally to ensure eggs are cooking properly. Eggs should be not be hard cooked but left with a small amount of yoke to make this dish take extra buttery when served. 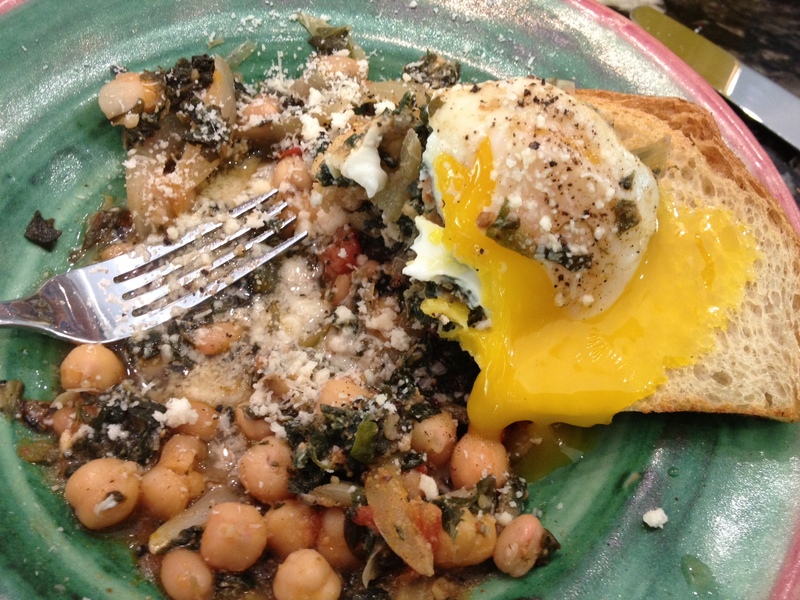 Spoon Tuscan Stew into bowls and transfer egg on top. Lightly dust with Romano cheese, salt and pepper to taste. 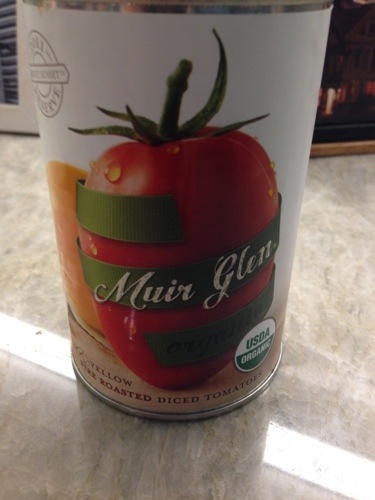 Disclosure: I received a Muir Glen Organic Fire Roasted Tomatoes to cook with; no monetary compensation was received for this post. All opinions are my own. 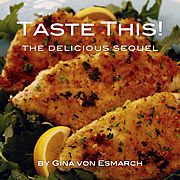 Published on October 9, 2012 in Recipes. 13 Comments Tags: Hawaii, Muir Glen Give Away, Muir Glen Organic Tomatoes, Musubi, Musubi Breakfast, Nori, SPAM, SPAM musubi, Troy Lazaro. 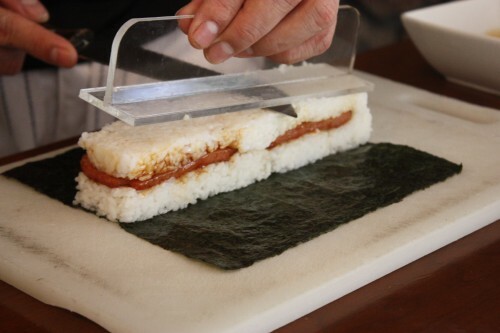 I’ve always been intrigued by SPAM musubi. It’s just one of those foods that you associate with the Hawaiian islands, along with the likes of lomi lomi salmon, lau lau, huli huli chicken and kalua pig trailing closely behind. 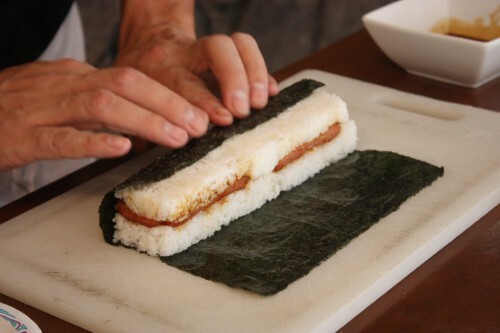 Musubis are so popular that they can be found at every convenience shop on the islands. 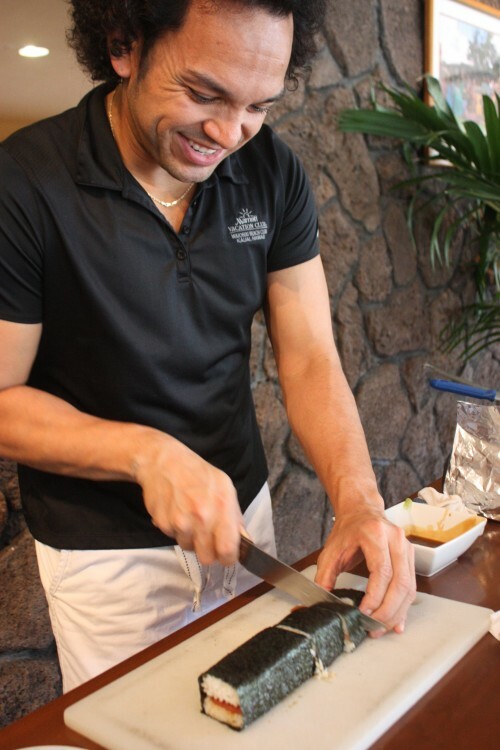 Hearing my interest in this local dish, Troy Lazaro was kind enough to make it for me to share with you. 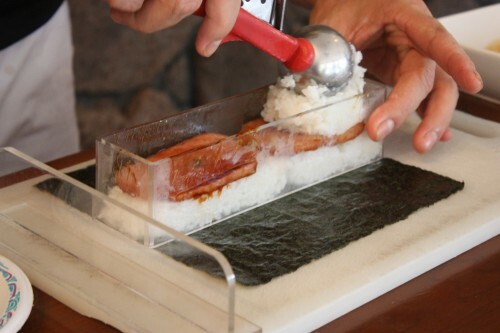 Taking some warm rice from the cooker, he cracked open the SPAM, squeezed the sides of the can of SPAM and gave a sturdy tap to the bottom of the can. 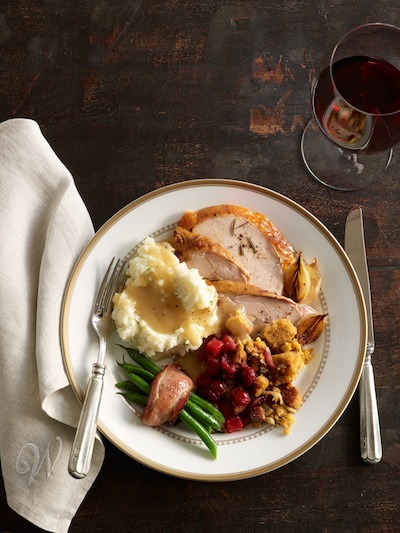 I watched attentively as the pale pink solid mass plopped onto the cutting board, smothered in savory gelatinous goo. 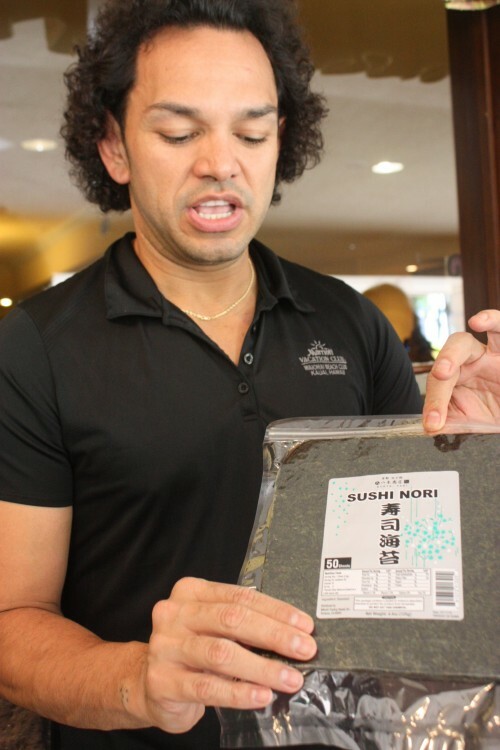 Admitting that he likes his musubi on the meaty side, Troy slices the SPAM into eight pieces, however he advises that if you prefer your musubi less meaty then it should be sliced into ten pieces. 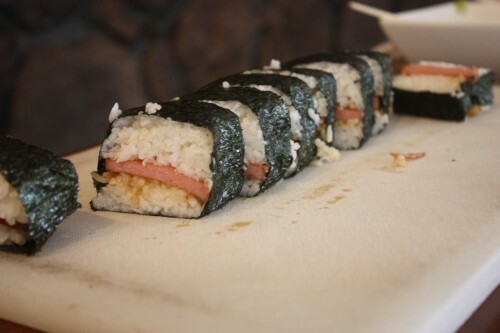 The SPAM musubi is a ridiculously simple creation, composed of three main ingredients, SPAM, rice, and Nori. Basic staples of every Hawaiian kitchen. I can attest that despite its simplicity, this portable ‘on the go’ dish has an undeniably high rating on the scale of tastiness. 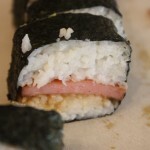 I imagine that you may be wondering, what the connection is between musubi and Muir Glen organic tomatoes…from a product perspective there is admittedly no connection. Because Troy showed such wonderful hospitality in sharing some new dishes with me, I want to reciprocate and share my thanks with all of you. I have something that I am certain will be a unanimous hit…it one of my pantry staples – organic seasoned canned tomatoes. Our friends at Muir Glen are offering five lucky readers their delux Reserve Harvest Kit; these lucky five will be drawn at random this week. To enter see details below. Good Luck! Or as they say in Hawaiian Maika’I pomaika’I. Note: Before you begin, have all necessary ingredients at the ready as SPAM is at its hottest and crispest once it hits the rice. In a small bowl mix equal parts soy sauce and sugar as a baseline measurement, then adjust to taste, according to desired preferences on sweet or salty. 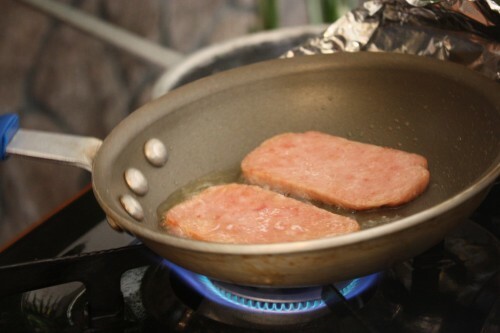 Place the slices of SPAM in a pan on medium heat and begin to cook. 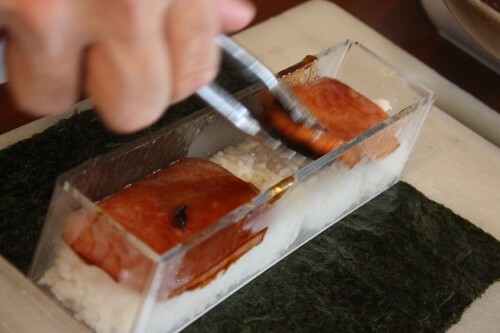 After 2 minutes, pour the soy sauce–sugar mixture over the SPAM. 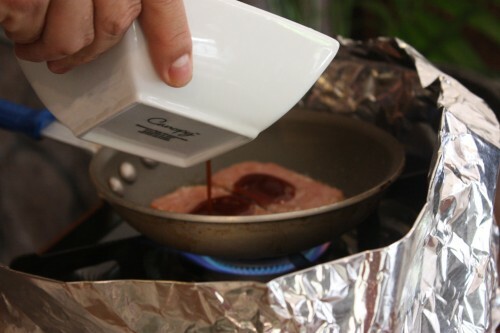 The liquid will effortlessly soak into the crisping SPAM pores, making it more salty (as if that were even possible) and a tad sweet as the sugar caramelizes. 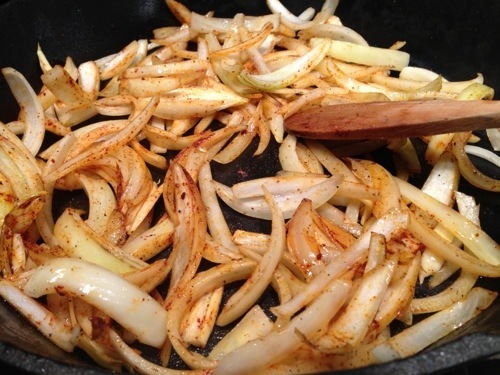 Keep frying the meat until it reaches the desired level of crispness. 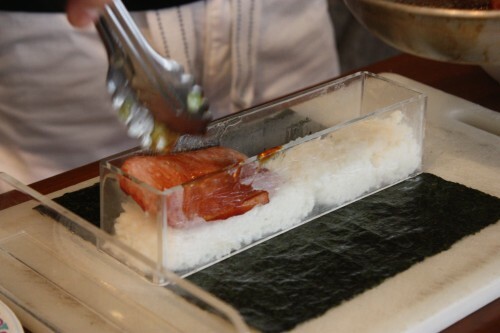 Once done, transfer the SPAM to a plate and set aside. 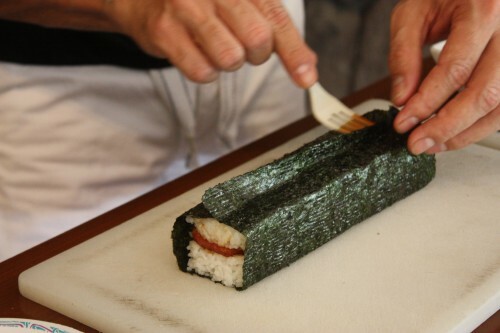 Now, work quickly to assemble, otherwise the SPAM will no longer be hot and crisp by the time the musubis are assembled. 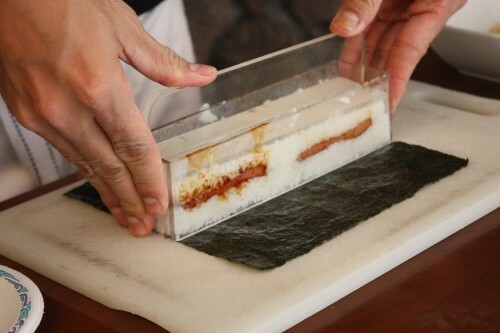 (Note: If you are using a single musubi maker, cut the Nori strips in half lengthwise, and lay the musubi-maker — everyone has one, right? 😉 — on the middle of the Nori.) 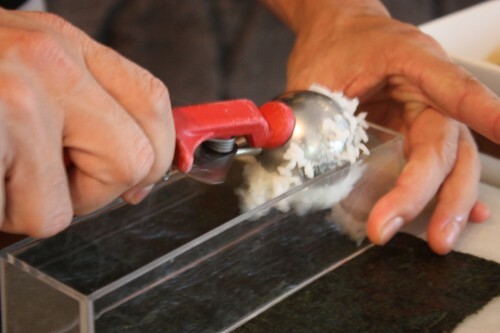 Use an ice cream scoop to quickly place four generous mounds of rice into the mold. 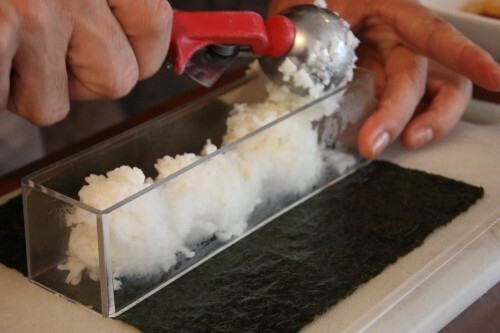 Use the musubi-maker handle to press down on the rice. 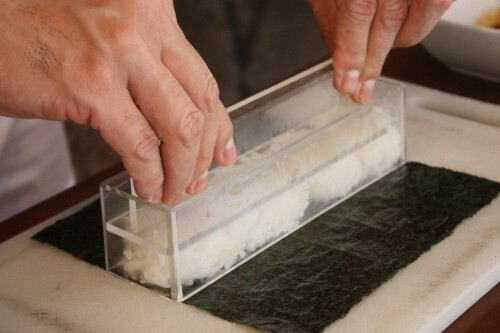 Press hard to make certain the rice is firm. 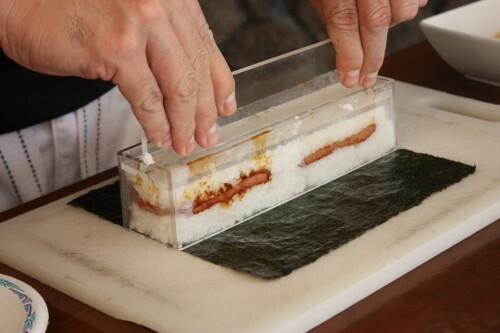 Lay two slices of SPAM on top, and then add another layer of rice and one final press. 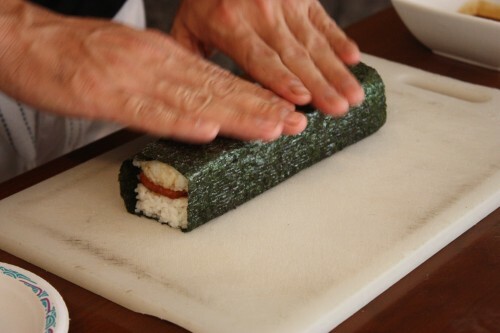 Once you’ve given it a firm press, hold the handle down with one hand, and use the other to pull the mold upward, thus releasing the musubi. 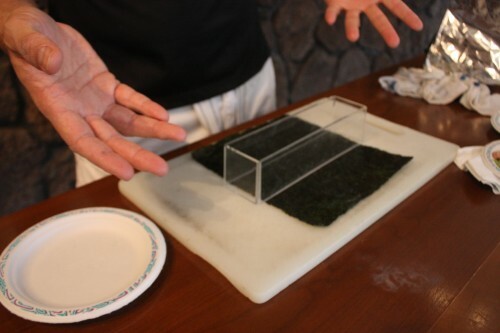 Quickly wrap the Nori around the rice (use a few grains of rice or a bit of water to stick the Nori together at ends if necessary). Slice in half and serve. 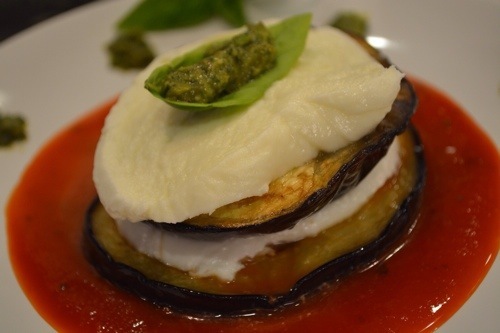 Individual slices can also be made to pass around to those who might initially be a bit hesitant to try this local fare. There shouldn’t be leftovers, but if so, wrap each musubi individually in plastic wrap, so you may pop them in the microwave when desired. 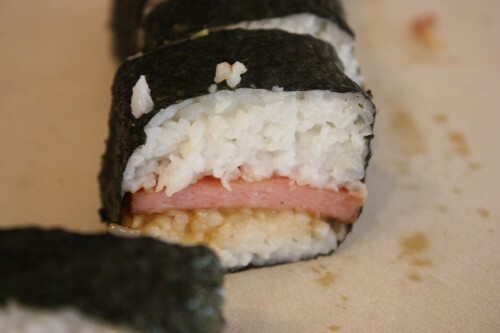 Note: If feeling truly adventuresome for a completely different taste, li hing mui or furikake can be used on top of the rice before laying down the SPAM and then again before adding the second layer of rice. The li hing mui really ventures into the realms of tangy-sweet, and the furikake adds more crunch and hints of sesame. 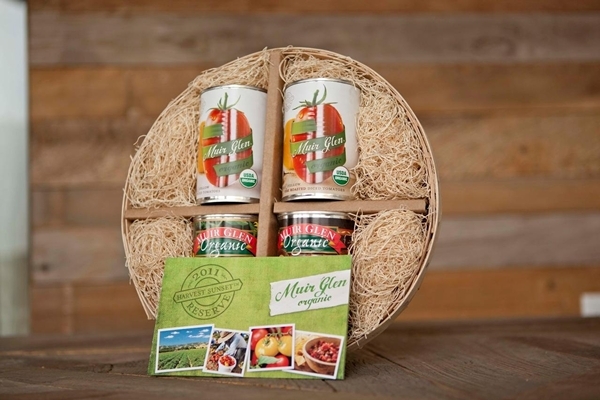 To enter simply leave a comment telling me your favorite way to use canned tomatoes or post a link to one of your favorite tomato dishes. The give away will run until the end of the week and I’ll announce the five winners on Monday, October 15th. Fine print (dot, dot, dot). Retail Value: $10 excluding shipping. Contest available in the US Only (includes Alaska & Hawaii). I did not receive any compensation for this post, the views expressed are my own. Thank you to Muir Glen for providing such a wonderful foodie give-away. 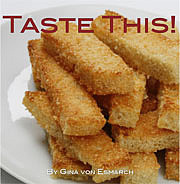 I look forward to sharing my Muir Glen recipe with you soon.